58" Lone Star is super fast and accurate! The intersections match without even trying. Blue & Green quilt made by Mark Lipinski (holding it) from his gorgeous line of fabrics. Thanks Mark! 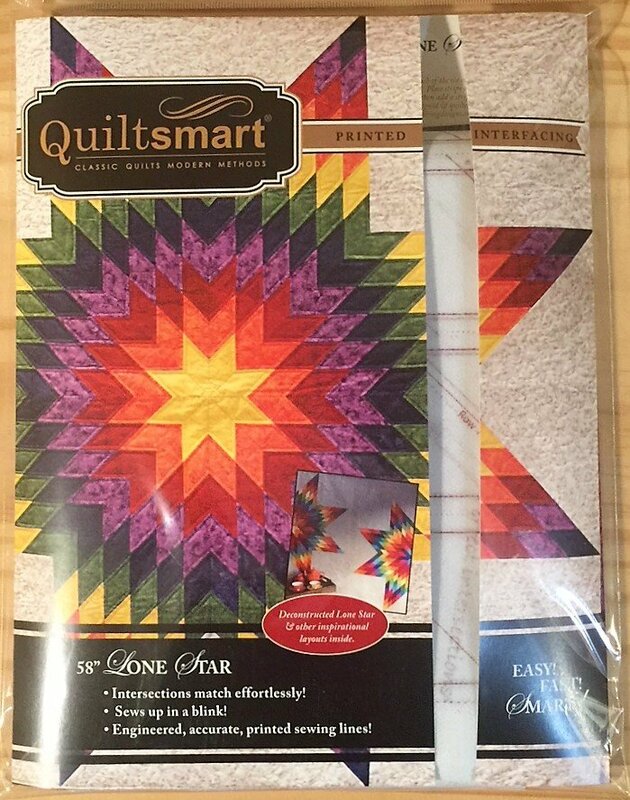 Comes in a 9" x 12" pack with 8 panels of interfacing & instructions to make (1) 58" Lone Star. Makes a 58" star for a large lap, twin, or queen size. 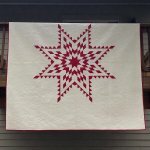 FEATHERED STAR VARIATION (the red and white quilt in the images to the left) - This printable gives you the yardages and cutting and some tips for making the 58" Lone Star Feathered Star Variation. Featured in the bed shot also are North Star Pillow Shams with a Split Diamond border.